In his concession speech, Philip Levine urged supporters to back Andrew Gillum in the 2018 Florida governor's race. Former Miami Beach Mayor Philip Levine may have lost the Democratic nomination for governor, but he energetically endorsed the winner, Tallahassee Mayor Andrew Gillum. Gillum is the first African-American nominee for governor in Florida. 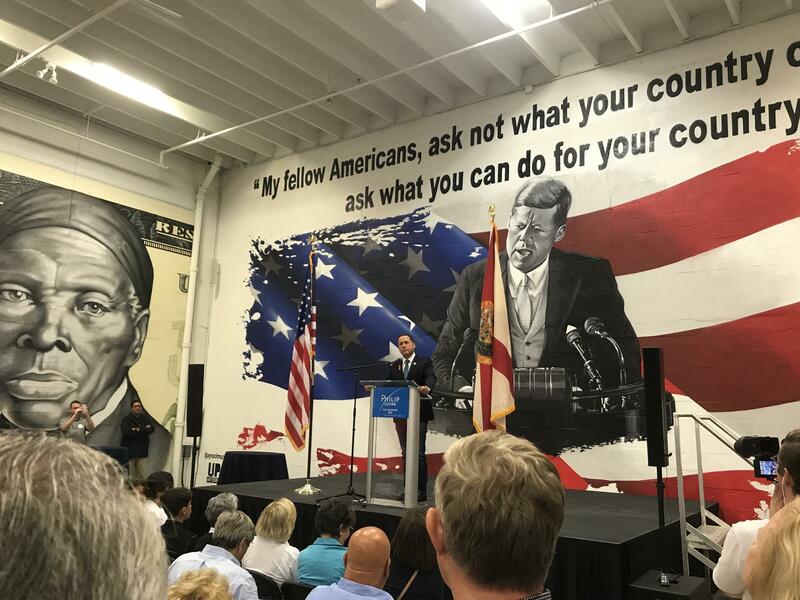 In his concession speech, Levine touted that fact to a crowd of about 200 supporters at his campaign headquarters in Miami's Wynwood neighborhood. "Florida decided to make history tonight," Levine said. "We’re seeing the new Florida. The new Florida is rising in front of us, and Mayor Andrew Gillum is going to lead the way." Levine said he and Gillum have similar positions on a number of issues, including strengthening gun safety laws, increasing access to health care and supporting higher wages for Floridians. Gillum will face Republican nominee Ron DeSantis in the Nov. 6 general election.